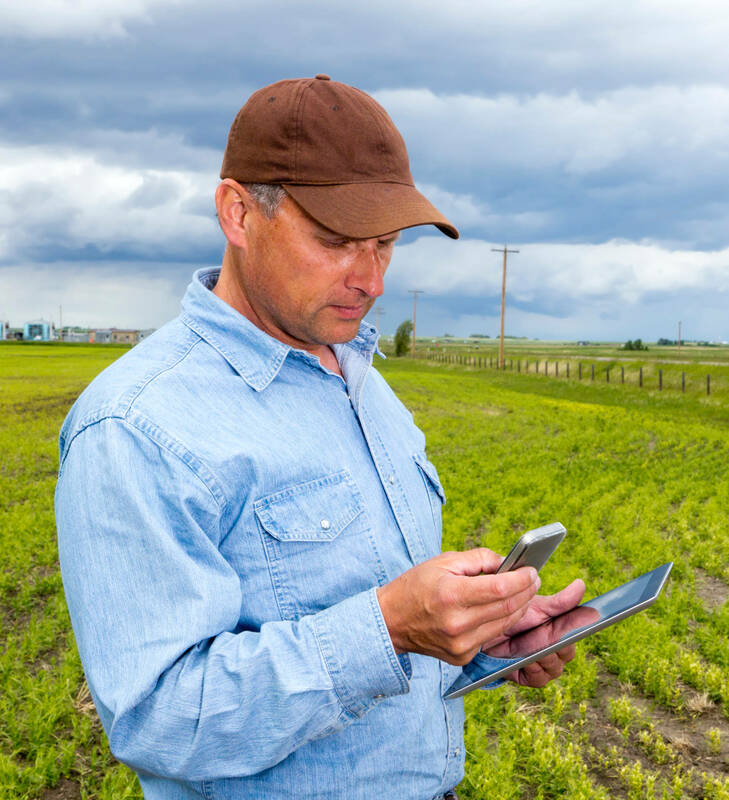 FieldX® is an independent agricultural software platform to help you collect, manage, and share your data. FieldX is a complete solution for your scouting business. After recording your observations online or offline, you can send clear and concise reports to your customers. With FieldX you can create an electronic journal of all activities on your fields. Information that you can record include Planting, Treatment, Irrigation, Field Operations, and Harvest. 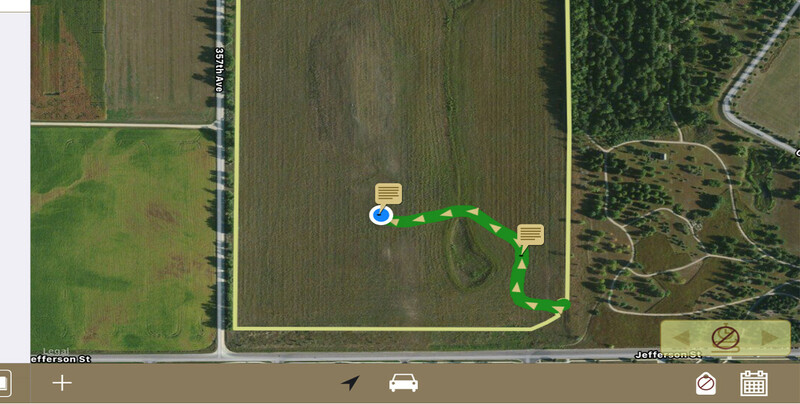 FieldX includes features to create sampling events and navigate to your points in the field. 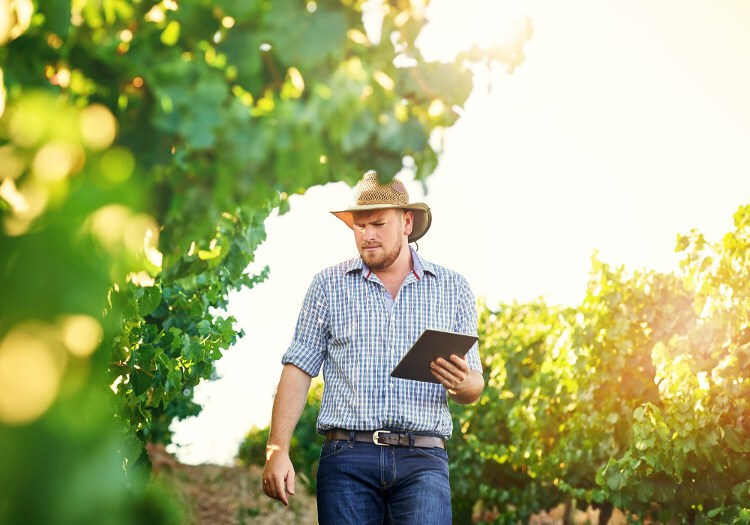 FieldX Irrigation is used to display data from your in-field sensors, then you can create irrigation recommendations and reports for your grower customers. 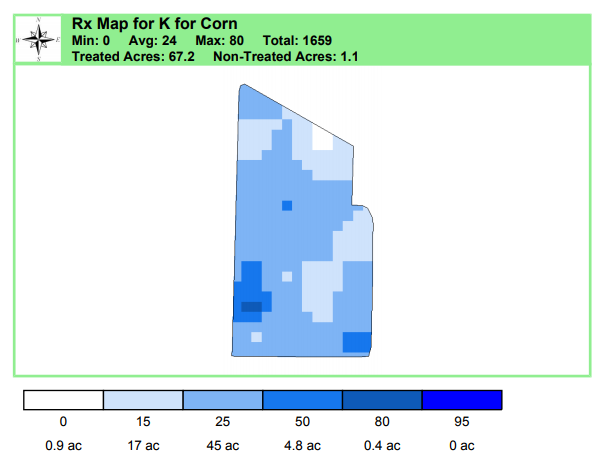 FieldRx® is a web-based software tool for using grid sample results to create VRT maps. We have been an independent software development company for over 15 years. This allows us to be 100% focused on the interests of our customers. The FieldX platform can be tailored to your particular needs. There are hundreds of data fields available, so FieldX can be used in any cropping system. Forms and reports can be customized to include the data that’s relevant to your team and your customers. We believe that supporting you after purchase is important to your success with FieldX. All technical support and software updates are included at no additional charge. Our team is dedicated to making sure that every customer has a positive experience with FieldX. Why use FieldX for Scouting? Enter detailed pest counts and other observations. Apply recommendations across multiple fields. Set up custom forms and pre-filled recommendation. Record georeferenced notes and photos. Software for Windows PC, iOS, and web. Control access to grower data and user capabilities. Sync fields and data across your team. Offer free grower subaccounts to your customers for crop recordkeeping. Email or print clear, concise PDF reports. View field-level weather data, including growing degree days. Access to reference libraries for Chemicals and Pests. 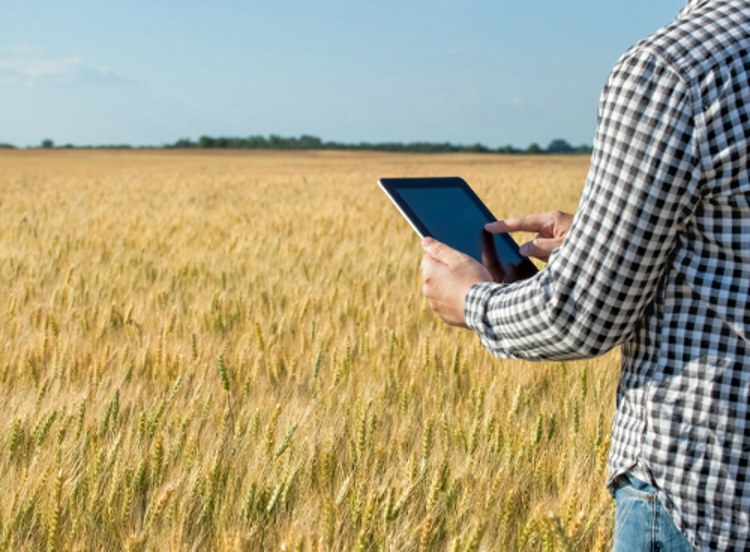 Why Use FieldX for Crop Recordkeeping? Record activities across multiple fields. Create custom and pre-filled forms. Keep a complete record of application, including detailed application rates, EPA numbers, and cost. Generate end-of-year reports detailing applications and costs. View field-level weather data, including accumulated growing degree days. Access to reference libraries for Chemicals, and Pests. Why Use FieldX for Soil Sampling? Create Sample Grids in seconds. Import point location from shpfiles. Add point locations for conventional sampling from the field or in the office. Use your favorite field device (iPad, iPhone, PC, or PocketPC). Navigate directly to points from your GPS location. Upload sample points to FieldRx to create prescriptions. Export sampling points from multiple fields to a shpfile at once. Why Use FieldX for Irrigation Scheduling? View charts of data from your soil moisture and rainfall sensors. 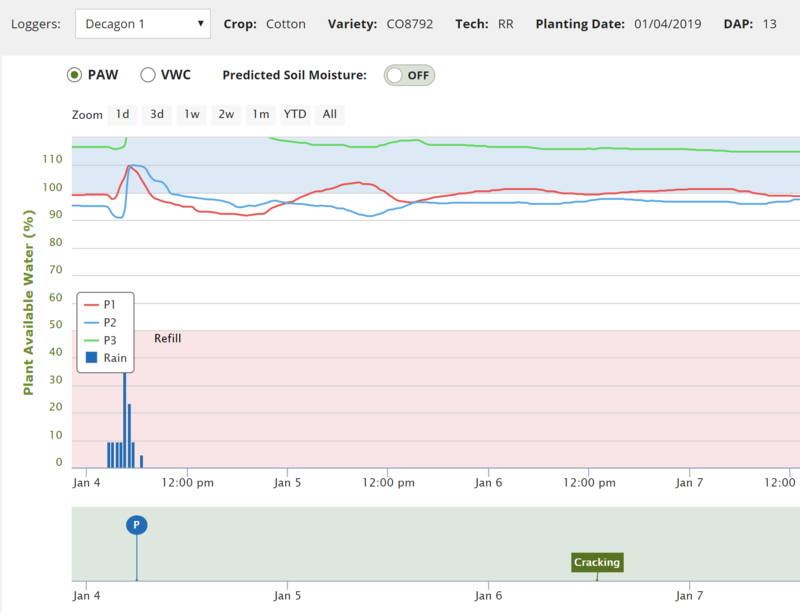 View planting and scouting information on the soil moisture chart, including crop and variety details and growth stage. Irrigation Recommendations can be created directly from FieldX Irrigation. Reports can be generated that include your recommendation details and the current soil moisture chart. Recent sensor data is used to model future soil moisture levels. Why Use FieldX for VRT Fertility Prescriptions? Quickly generate prescriptions from grid sample results. Run recommendation formulas on multiple fields. Select information to include on reports.